Southern Land Title Company Real Estate Glossary provides simple definitions for some of the most common terms you can expect to hear during the closing process. ALL-INCLUSIVE RATE - When referring to title insurance, an all-inclusive rate is a rate that includes at least some part of the cost of researching the title or the cost of conducting the closing. ALTA - American Land Title Association, the national trade association for the title insurance industry. ALTA is made up of title firms that conduct your closing and issue you an Owner's Policy of Title Insurance. APR - Annual Percentage Rate. The yearly interest percentage of a loan as expressed by the actual rate of interest paid. APPRAISAL - An estimate of value of property from analysis of facts about the property; an opinion of value. BASIC RATE - When referring to title insurance, the basic rate is the rate charged to a consumer who does not qualify for a reduced rate. CERTIFICATE OF TITLE - In areas where attorneys examine abstracts or chains of title, a written opinion, executed by the examining attorney stating that title is vested as stated in the abstract. CLOSING - In some areas called a "settlement." 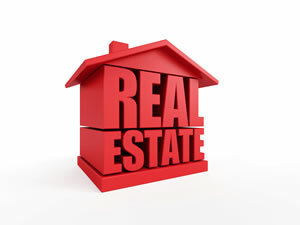 The process of completing a real estate transaction during which deeds, mortgages, leases and other required instruments are signed and/or delivered, an accounting between the parties is made, the money is disbursed, the papers are recorded, and all other details such as payment of outstanding liens and transfer of hazard insurance policies are attended to. COMMISSION - The amount due a real estate broker, mortgage loan broker, or real estate professional for services performed in such capacity. CONTRACT - Same as "agreement," but usually more formal. DEED - A written document by which title to real estate is conveyed from one party to another. EARNEST MONEY - Down payment or a small part of the purchase price made by a purchaser as evidence of good faith. EXAMINATION - In title industry terms, to peruse and study the instruments in a chain of title and to determine their effect and condition in order to reach a conclusion as to the status of the title. GOOD FAITH ESTIMATE - An estimate of closing costs the lender is required (under the federal Real Estate Settlement Procedures Act) to give to the buyer within at least three days of applying for a mortgage loan. This is the lender's estimate - it must be completely accurate regarding the lender's own charges and is supposed to be reasonably close to the charges third-party providers such as title insurers/agents, attorneys, surveyors, etc., may change. You should check with those third-party providers, however, regarding how much they will charge if you have any questions or concerns prior to settlement. HAZARD INSURANCE - Real estate insurance protecting against fire, some natural causes, vandalism, etc., depending upon the policy. 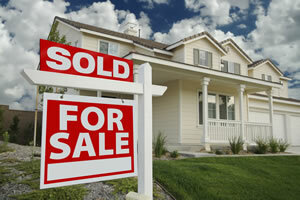 The buyer often adds liability insurance and extended coverage for personal property. LOAN POLICY - A policy of title insurance issued to the mortgage lender insuring against loss by defects in, liens against, or unmarketability of title. MORTGAGE - A temporary conditional pledge of property to a creditor as security for the payment of a debt which may be cancelled by payment. OPINION - In title industry terms, referred to as title opinion. The conclusion and judgement of a skilled person as to the status of a title, based upon a title examination. REALTOR - A copyrighted trade name which can be legally used only by those persons belonging to the National Association of Realtors. REFINANCE RATE - When referring to title insurance, the refinance rate is the reduced rate for a Loan Policy issued on the new loan in a refinance transaction, in which the original loan was previously insured within some period of years. REISSUE RATE - When referring to title insurance, the reissue rate is the reduced rate for an Owner’s Policy of title insurance issued on a property which was previously insured within some period of years. In some states, the term is also used for a refinance rate. RISK RATE - When referring to title insurance, the risk rate is a rate that does not include the cost of researching the title or the cost of conducting the closing. SEARCH - In title industry terms, a careful exploration and perusal of the public records in an effort to find all recorded instruments relating to a particular chain of title. SIMULTANEOUS ISSUE RATE - When referring to title insurance, the simultaneous issue rate is the reduced rate for a Loan Policy or Owner’s Policy of title insurance issued on the same property or loan at the same time as another policy. The term usually refers to a Loan Policy issued at the same time as an Owner’s Policy when a property is purchased. SPECIAL WARRANTY DEED - A deed which warrants the title only with respect to acts of the seller and the interests of anyone claiming by, through, or under him. TENANCY BY ENTIRETIES - An estate or interest in real estate predicated upon the legal fiction that a husband and wife are one person. A conveyance or devise to them (unless contrary intent is expressed) vests title in them as one person. Upon the death of either husband or wife, full title passes to the survivor. TITLE COVENANTS - Covenants ordinarily inserted in conveyances and in transfers of title to real estate for the purpose of giving protection to the purchaser against possible insufficiency of the title received. A group of such covenants known as "common law covenants" includes: (a) covenants against encumbrances; (b) covenant for further assurance (in other words, to do whatever is necessary to rectify title deficiencies); (c) covenant of good right and authority to convey; (d) covenant of quiet enjoyment; (e) covenant of seisin; (f) covenant of warranty. TITLE PLANT - (1) In many areas, synonymous with Abstract Plant. (2) A geographically filed assemblage of title information which is to help in expediting title examinations, such as copies of previous attorneys' opinions, abstracts, tax searches, and copies or take-offs of the public records.